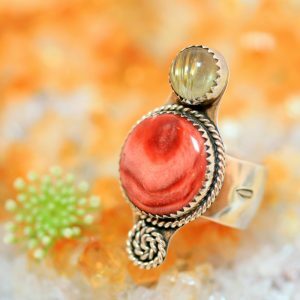 This elegant asymmetric Zuni bracelet is hand crafted by master lapidary worker Duran Gasper of the Zuni Pueblo tribe. 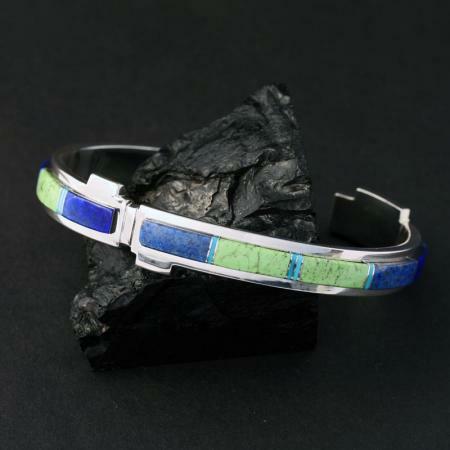 This finely crafted Zuni bracelet is seamlessly inlaid with Sleeping Beauty turquoise, lapis lazuli, denim lapis and variscite set in sterling silver. The bracelet measures 13mm wide, fits a medium-large female or small male wrist and comes in a presentation gift box. 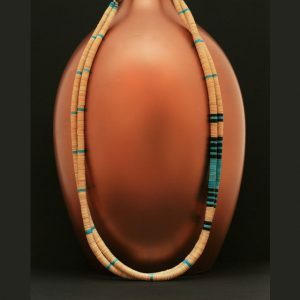 This elegant asymmetric Zuni bracelet is hand crafted by master lapidary worker Duran Gasper of the Zuni Pueblo tribe. 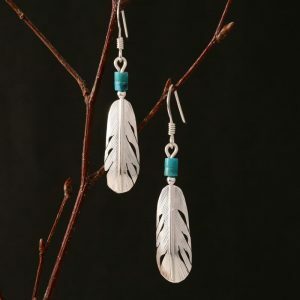 The Zuni are known for their skill in the creative arts and intricate inlay work is characteristic of much Zuni jewellery. Duran Gasper is one of the outstanding masters of this technique. This finely crafted Zuni bracelet is seamlessly inlaid with Sleeping Beauty turquoise, lapis lazuli, denim lapis and variscite set in sterling silver. The bracelet measures 13mm wide, fits a medium-large female or small male wrist and comes in a presentation gift box.